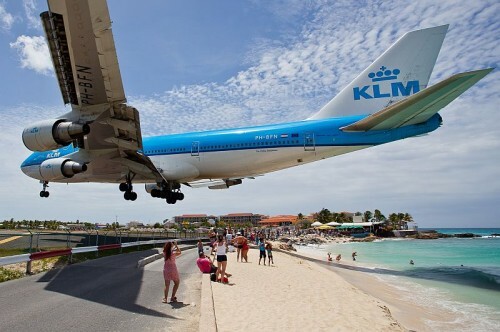 Cheap flights to Caribbean island St. Maarten: only €392! If you have already been by any chance to Curacao (now on offer for €409) or simply prefer Netherlands Antilles you can now also book super cheap flights to St. Maarten from Germany. This island is famous by its beach which is located right in front of the airport and you have unique chance to see landing airplanes few meters above you. Return flights from Leipzig to St. Maarten are now available for only €392! Travel dates are from August until October 2014. There is one stopover in Paris or Amsterdam. Book via BudgetAir to get this awesome price! St. Maarten caters mostly to luxury tourists but there is wide range accommodation options including even cheaper hotels. Use our search engine to compare all the booking sites at once. « Cheap flights to Caribbean: Curacao for €409!